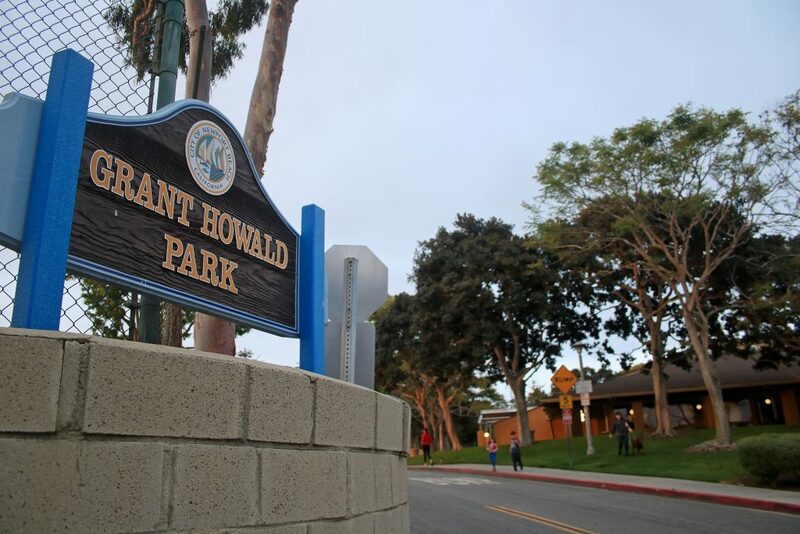 The city is considering a renovation for the popular Grant Howald Park in Corona del Mar. City officials are looking into giving a popular Corona del Mar park a facelift. Parks, Beaches and Recreation commissioners created an ad hoc committee Tuesday to review possible renovations for Grant Howald Park, located on 5th Avenue between Marguerite and Goldenrod avenues in CdM. Improvements for the park have been discussed for several years, and both staff and the community are happy to see this project move forward, Recreation and Senior Services Director Laura Detweiler. “We’re really excited about this project,” Detweiler said. Commissioners Heather Ignatin and Walt Howald, son of the park’s eponymous Grant Howald, will serve on the ad hoc committee, as well as one new commissioner to be appointed in August. 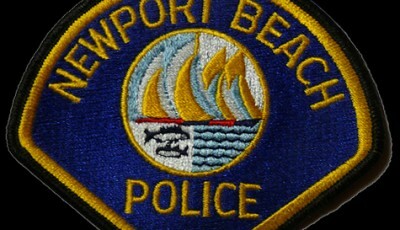 They will assist with community outreach meetings and design input. Park upgrades could include fence reconfiguration, landscaping, sidewalk installation, retaining wall replacement, synthetic turf installation and replacement of the existing playground equipment, and more. Councilman Scott Peotter, whose district includes the park in CdM, said he is looking forward to seeing their recommendations. “The park has not been renovated in some time. Although it has been maintained well, I am glad the PB&R Commission is always looking ahead to keep our parks in great shape,” Peotter noted in an email this week. Staff included $250,000 for design and permitting in the Capital Improvement Program of the proposed 2018-19 Fiscal Year budget, which Council will consider on Tuesday, Public Works Director Dave Webb explained. If approved by Council, the ad hoc committee will work with a consultant and the community to determine the design. Funds for construction of the project would not be considered until the following fiscal year, which would also need to be approved by Council. With an artificial field and the other suggested improvements, construction costs could easily be between $1 million to $2 million, Webb explained. In this phase of the project, the committee will work alongside staff and community members in an effort to put together a conceptual design for the park, Detweiler said. It’s one of the city’s most heavily used parks, she pointed out. Besides sports teams, the park is also well used by dog walkers, older local residents, and parents and kids from the immediate neighborhood, Howald added. There will also be community outreach. They have heard a lot of feedback from residents recently about improvements they would like to see, she noted. “There’s quite a bit of work that might be involved in this project,” she said. The park includes a sports field, tennis courts, community youth center, playground and open park space. A big part of the proposed updates is replacing the field with synthetic turf and turning it into a field more focused on soccer and lacrosse, rather than baseball and softball. Softball play has declined over recent years, but there has been increased demand in other sports, Detweiler added. After the meeting, Howald agreed, saying softball clubs have disappeared and more kids are playing soccer now. “I think it’s a great thing to take a park that’s got a lot of use and bring it up,” to date to accommodate the changing needs, Howald said after the meeting. 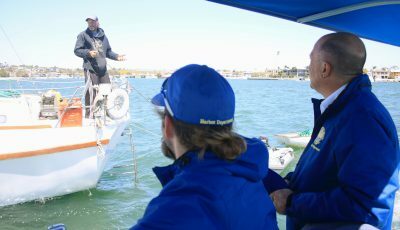 Considering that trend will help determine how the field will be used in the future, Detweiler noted. “There’s really some great potential there to increase its usage throughout the year,” she said. Installing a synthetic turf would include several months of working on the drainage system, Webb explained. The synthetic turf installed several years ago at Bonita Creek Park “has been one of the best things we have ever done,” Detweiler said. It has never shut down, not even in inclement weather, she pointed out. They would also like to remove and redo the fence along 5th Street, as well as add a sidewalk. They also need to take care of any structural issue with the wall and likely remove some old Eucalyptus trees, staff added. 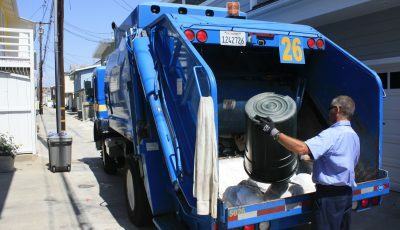 “There are a lot of things like that we’d like to work with the committee on and walk through (each item),” Webb said. The community center was renovated about seven years ago and is still in good shape, Detweiler said, so there is no need for any work on the building. 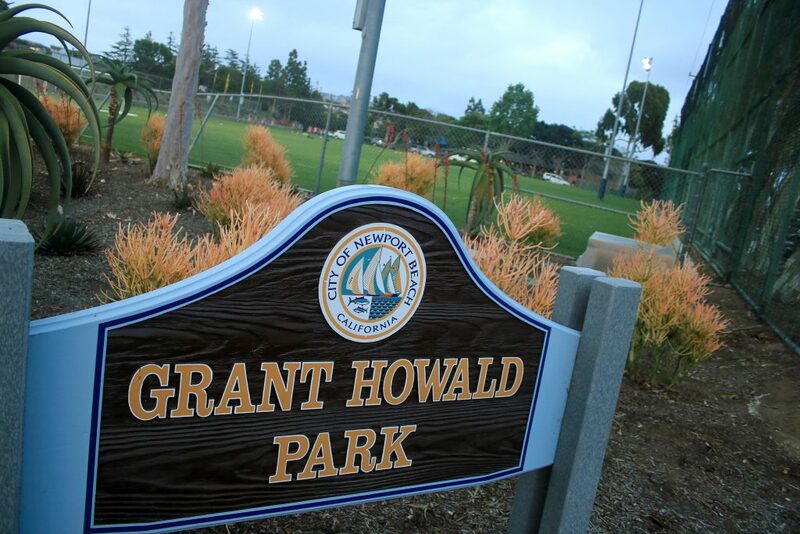 Grant Howald Park, built in the 1950s, was named after the CdM postmaster who was very active in the community. More than 60 years ago, Grant Howald helped create the Community Youth Center out of an old Army barracks, Walt Howald explained after the meeting. Grant Howald gathered locals together to help fix up and maintain the building. It was also used in 1953 for the Boy Scout Jamboree. “He got stuff done,” Howald said of his father. Gradually, as demand grew the building became outdated, he said. In 1985, the old building was demolished and turned into the community center. It’s evolved with the demand of the local community, he added. 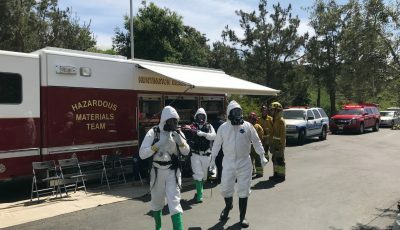 “Now, it’s time,” for an update, Howald said.